From hues as vibrant as vintage greens, creams to deep pinks set against shades like orange, burgundy reds and aubergine, florals this season have taken on a darker mood. Take a break from your summertime florals and give them a seasonal makeover. 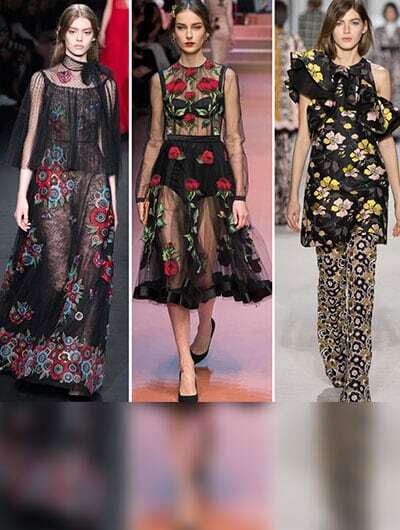 Fall in love with the most fab florals, we tell you how. 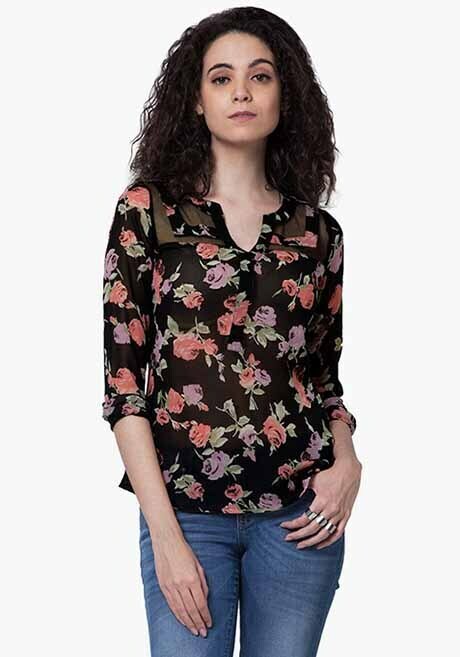 Flaunt your girly yet pretty side in this floral shirt, pair it with blue denims and layer it up with a leather jacket to complete the look. Do it in class, wear this classic black lace dress to just about anywhere, pair it with a pair of solitaire studs and a pair of black pumps, and accent it with a colored pout. 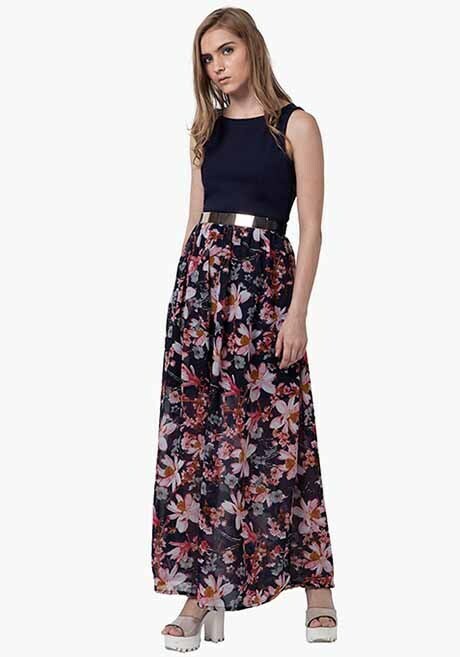 Pair this floral maxi dress with a denim bolero jacket and a statement necklace, add a bright pout to liven up the outfit and voila you’re ready! Strut your stuff in this midi shirt dress. To get winter ready throw on a pair of uggs and an over-size coat to look oh-so-hot! 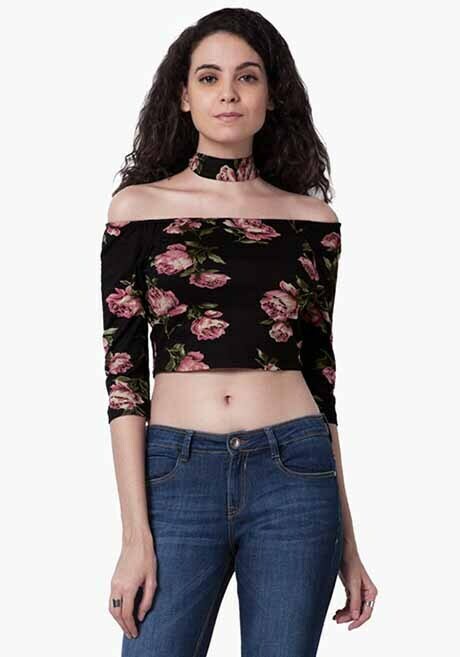 Get party ready with this uber chic floral off-shoulder choker crop-top, pair it with a pencil skirt and ankle length boots. Keep it simple with this floral skater dress. Break the monochrome monotony with an accent colored layer and throw on a pair of black boots! 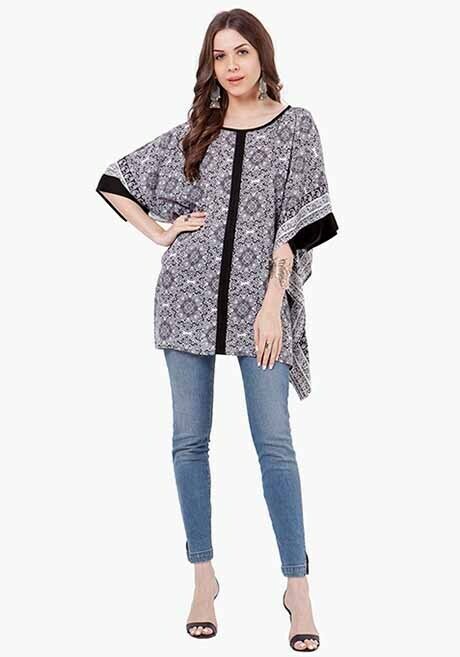 Spread casual vibes this weekend with this comfy kaftan tunic top, team it up with a pair of leggings and strappy flip flops and of course the TV remote.